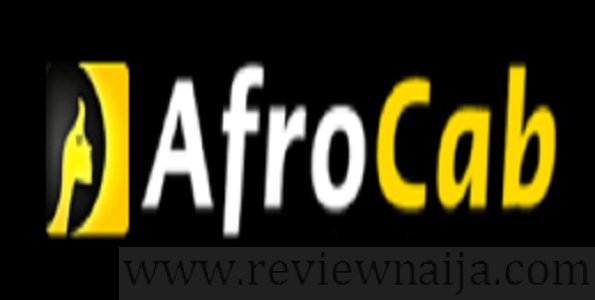 I had heard about Afro via Twitter and was eager to try out its service! 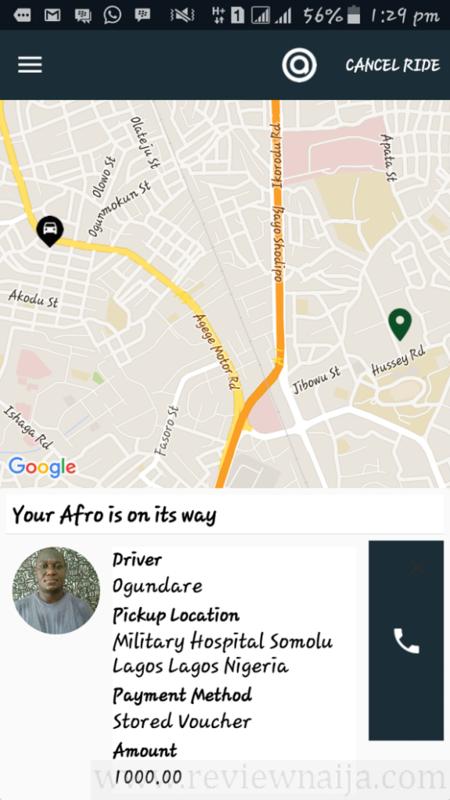 I needed a cab and wanted to try Afro out, so I downloaded their app which is only available on Google play. I registered and redeemed the “MAKE YOUR MOVE” voucher which is only available for first rides. I requested a cab and a payment platform showed up. Basically, a suggested price comes up, but you can haggle the price via the app. The thing is the higher your price, the faster you get a cab. So unlike UBER rides, Afro rides are fixed price and not dependent on traffic or distance. 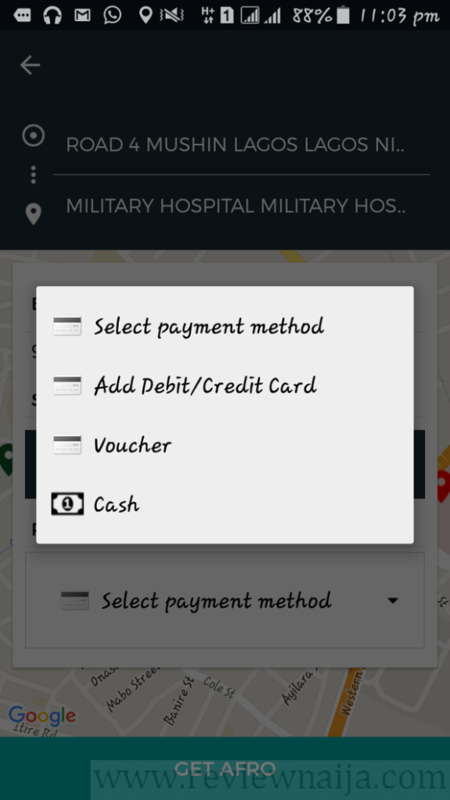 Available payment options include voucher, cash, and debit/credit card. After selecting the price I felt was fair, a driver accepted. 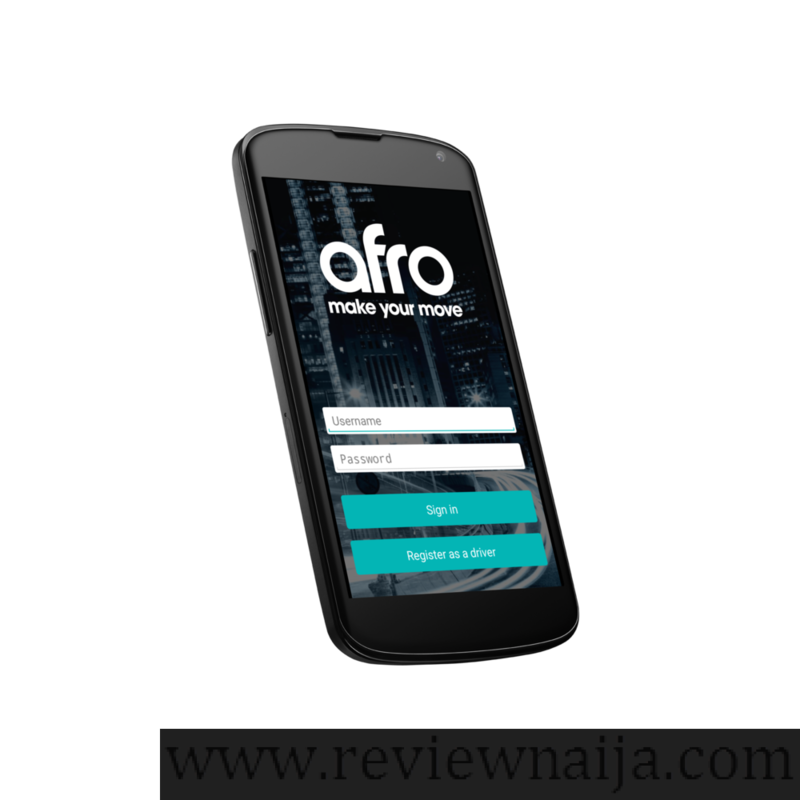 With Afro, the name of the driver, phone number and picture show up, however the type of car, plate number, and estimated arrival time do not show up. I called the driver and he explained he was busy with something and I had to cancel the trip. Tbh, I feel if you are busy, don’t accept the trip. My make your move voucher became invalid and that was goodbye to my free trip. I called the Afro customer care and made a complaint. The attendant was super friendly and helpful and gave me another code to use. On my way back, I tried Afro again and got the same driver. I got a call from the driver informing me that he would arrive at my pick up location in 15 minutes and he was true to the time. Once I got in, he started the trip. The app is not “Map Like” so you really can’t keep track of your location. The car was a 2004 vehicle. It was still in good shape, there was music and A/C. Afro Cabs are typically 2003 and upwards. The driver was okay and the trip was fast and uneventful. In conclusion, I rate Afro a 7/10. The customer attendant was very polite and willing to help, however I wasn’t impressed with the driver’s attitude in the beginning. The car was okay, but I’m sure as time goes on they will set a higher standards and maybe accept newer cars, but it’s great how these drivers have a platform to work on. Also, I advise that the app should be updated and the type of car and plate number should be included once a customer requests a cab. I will try Afro again sometime in the future. 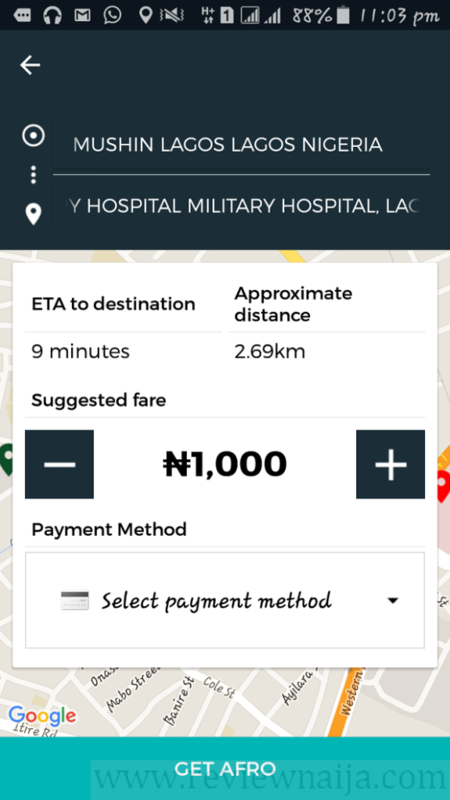 PS – First rides with AFRO are almost free with 2,000 NGN off once you use a verified promo code! 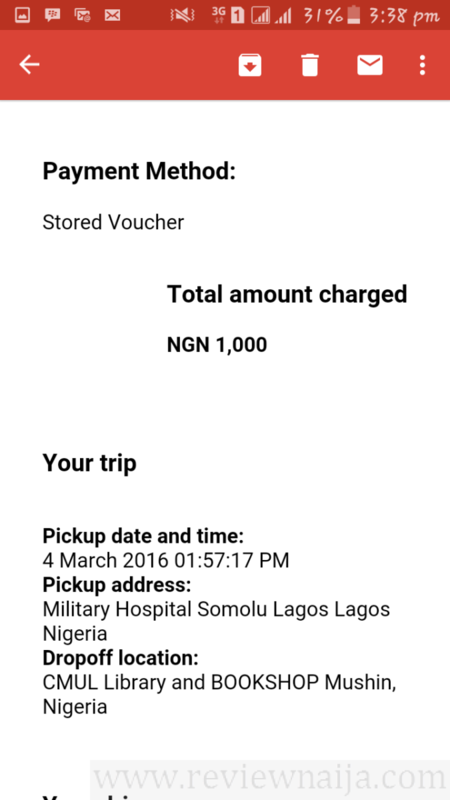 Feel free to use REVIEWNAIJA.